The Summer is a popular time for conferences and special courses. 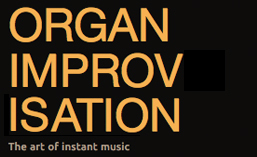 Here’s a list of opportunities to study improvisation at the organ this summer. If you know of others, please email me or share them in the comments so that I can add them to the website. Classical Music On The Spot – June 27-July 3 at Eastman School of Music in Rochester, New York covers 18th-century repertoire and improvisation skills. Knowledge of figured bass is required. Organ Academy in Saessolsheim (Alsace, France) – July 21-27 In addition to repertoire, Freddy Eichelberger and Francis Jacob will also wok on improvisation. Haarlem Summer Academy – July 18-22 Thierry Escaich teaches advanced improvisation; July 25-30 Peter Planyavsky teaches advanced improvisation and Jos van der Kooy teaches improvisation for beginners. 12th International Summer Academy of Music – July 22 – August 5 offers organ instruction with Jürgen Essl and Jean-Pierre Leguay on both repertoire and improvisation. Participation is limited to 12 organists. The course takes place in the Landesmusikakademie Baden-Württemberg in Ochsenhausen, Germany. Organ Academy South Germany – Upper Swabia 2016 – July 28-31 on the 1780 Holzhey Organ in Obermarchtal Monastery. Johannes Mayr offers instruction in repertoire and improvisation. I am still considering offering a couple of days of improvisation instruction here. If you would be interested in coming to study with me at the Cathedral July 28-30, 2016, please let me know. Space for active participants will be limited. If there is sufficient interest, I’ll share more details soon. Posted in Information, Newsletter. Tagged AGO Houston, Baltimore, Eastman, Edoardo Bellotti, Emmanuel Le Divellec, Guy Bovet, Jean-Pierre Leguay, Jürgen Essl, NCOI, Otto Krämer, Summer Course, Tobias Willi, William Porter.